It was a big success! The locals certainly got up and dance, and I heard a lot of positive comments. · AMAZING I LOVED IT. The food, the music, the dancing - it couldn’t have been better. · wonderful talent- very entertaining. 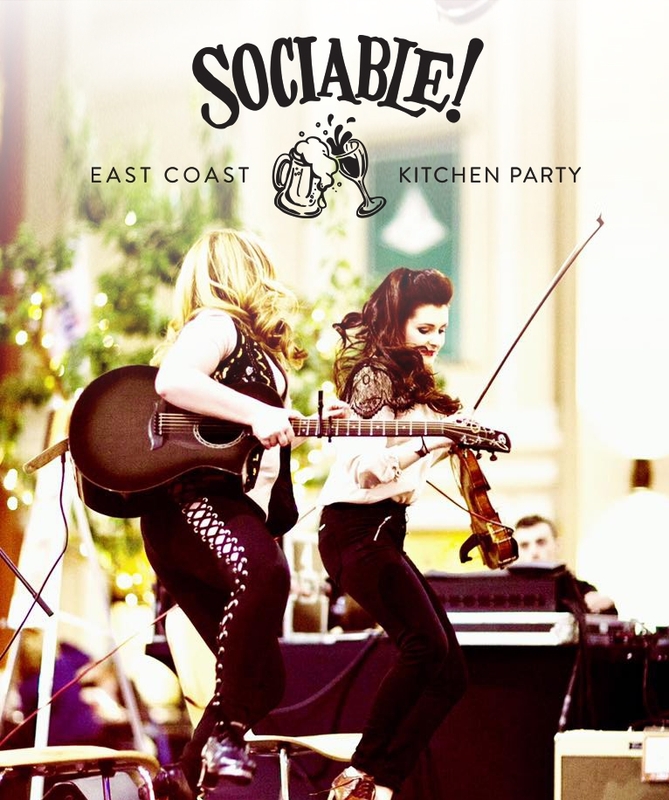 · As an East Coaster born and raised I feel like the Maritimes was well represented, right down to the “sociables”. The food, drink music, and company were all wonderful! The Kitchen Party, one of many traditions from Canada’s East Coast, bringing together friends and neighbours. Songs and stories are shared as guitars, fiddles and voices crowd around the kitchen table, while a pot of fish chowder simmers on the stove for all to enjoy! As music fills the room, you grab a pint, pour a glass of wine, or dig into the black rum and Join In! At the end of a song, the lead singer lifts his glass to all and shouts out “SOCIABLE!”, with a chorus of excitement, the party raise their drinks and reply, “SOCIABLE!”. The kitchen party is a celebration of life and friendship. Imagine the warmth and energy of this old tradition and then multiply that by 100 and you’ve got "Sociable! East Coast Kitchen Party".